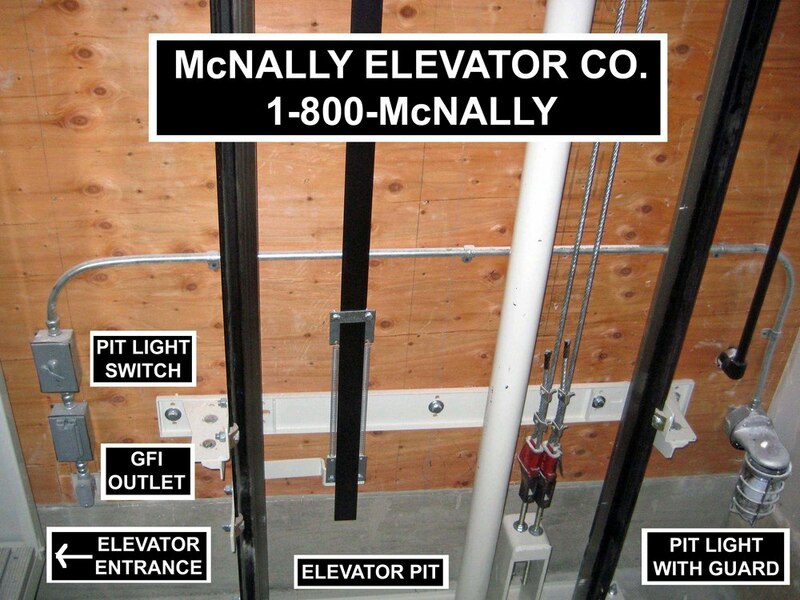 Make sure that you have an approved set of elevator construction drawings from McNally Elevator before constructing the pit. It has to be pre-determined if your pit is dimensioned for the hoistway walls to sit flush with the pit walls or if your pit is over sized to allow the drywall to lay on top of the pit walls. All elevator pits are required to be water proof so no drains are required. 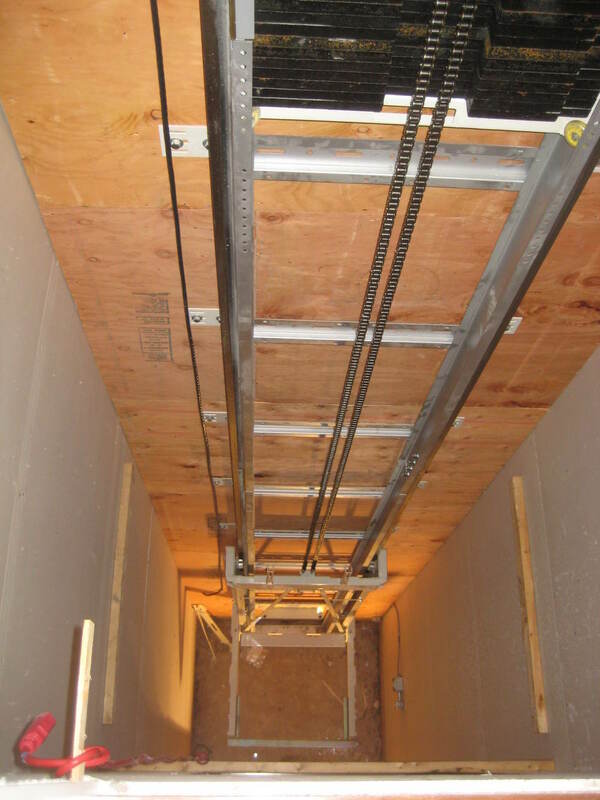 Typically the electrician will rough in the electrical feed for the pit light, switch and GFI receptacle and mount the equipment after the elevator has been installed. The overall depth of the pit will vary based on the type of elevator to be installed however the State of Michigan requires buffer springs and this may be an option for some manufacturers that will require their pit to be deeper to accommodate the buffers themselves. 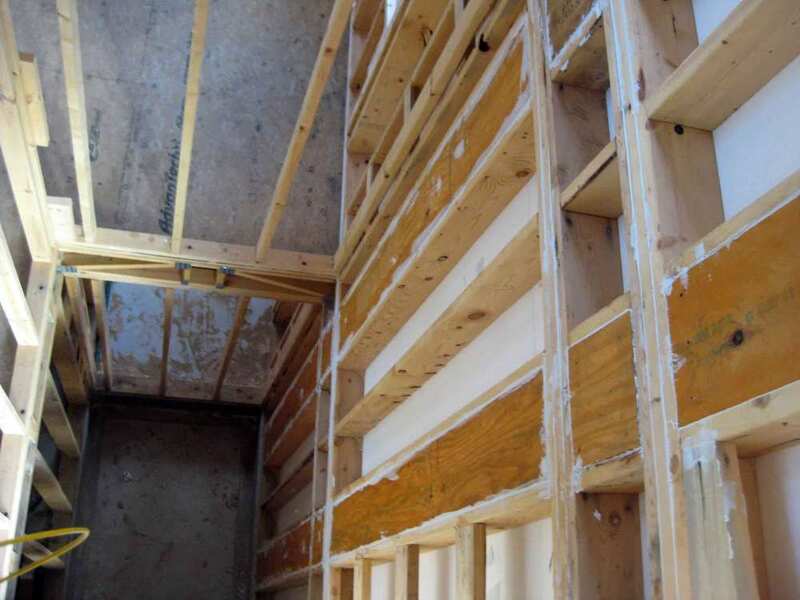 The hoistway framing should require that the sill plate be set back from the edge of the pit walls so that the finished drywall or fire-rated plywood will sit flush with the pit walls. Keep in mind that the portion of the hoistway walls that are in front of the elevator cab door openings should be sanded and painted as you typically can see that wall as you travel between floor levels.